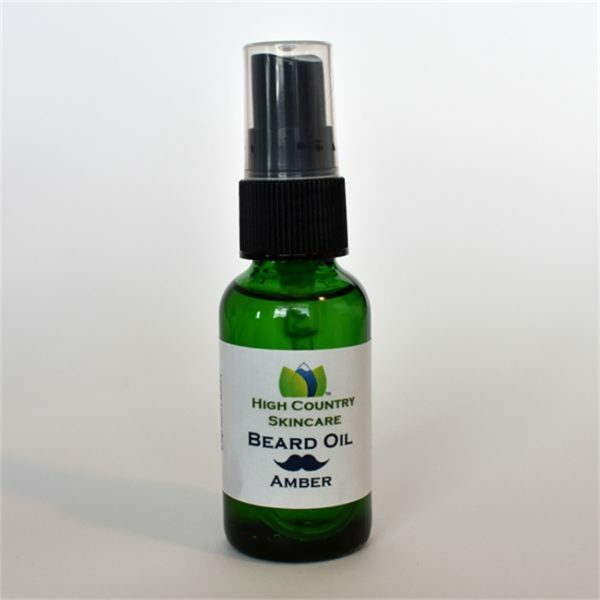 Amber— A rich, deep blend of amber, black cherry, and sandalwood! 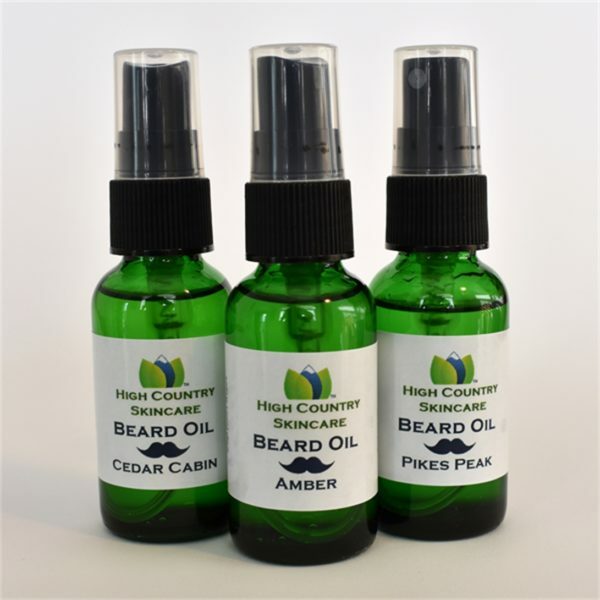 Cedar Cabin— Cedarwood, clove, and vanilla essential oils hint of a cabin on the mountain! Pikes Peak— Clean, green, and crisp, just like that magnificent mountain! Is your man’s beard scratchy and wild? Try just a few drops of Colorado Creme’s Beard Oil to tame that wilderness into something more civilized. Our lightly scented blend of scruff-softening oils is made for the Colorado man. Beard hairs, just like the hair on your head, benefits from conditioning. Beard hairs are much coarser and need deeper conditioning to be tamed into semi-respectability. 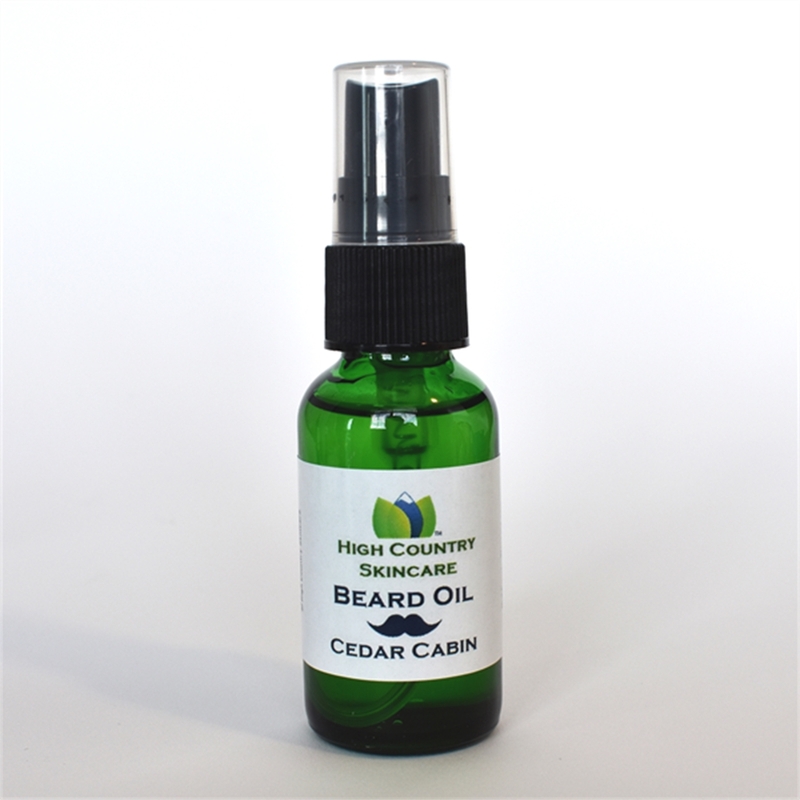 Our Beard Oil is a blend of natural oils known for their moisturizing capabilities. Safflower oil, jojoba oil, coconut oil, and argan oil help that beard feel soft and lay flat. 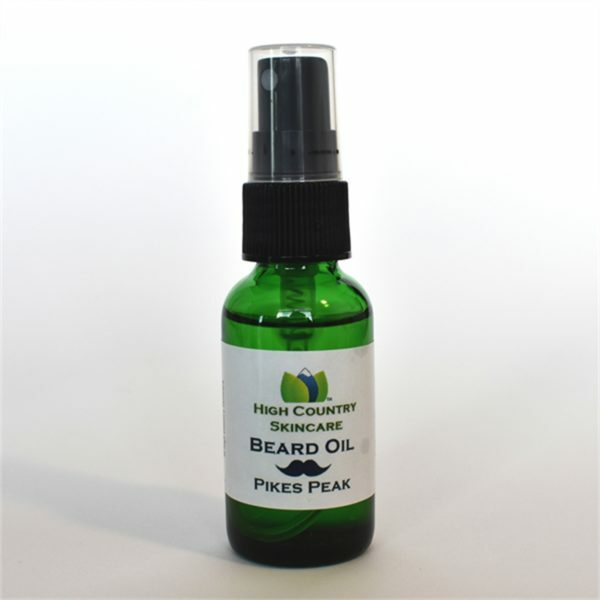 A hint of therapeutic-grade essential oil provides a light manly scent. 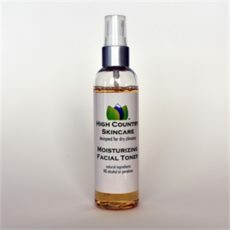 Moisturizing Toner is designed to ease that tight-face feeling after you wash by balancing your skin’s pH. Incorporate it into your daily skincare regime after you wash your face and before you apply your serum and moisturizer. Spritz on lightly and let dry. 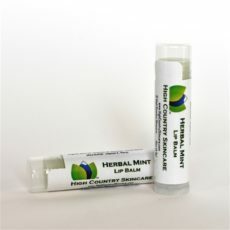 Soothing lip balm with refreshing flavors. 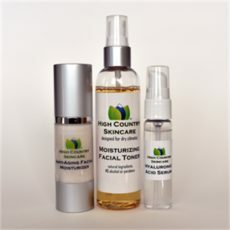 Includes All Three of our Fabulous Facial Line. 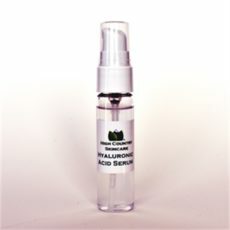 Pure hyaluronic acid serum to help replenish moisture in the skin.